Lakeside, Mighty Ryeders, The Temptations, Carleen & The Groovers, Flakes and more. 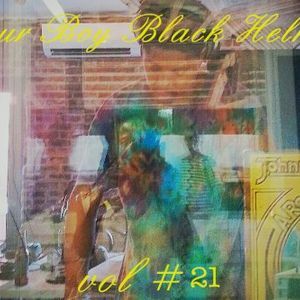 A deep funk and eclectic soul vinyl set from the creator of the Clocktower Radio series Your Boy Black Helmet, recorded live in the booth during the August 2015 Second Sundays festivities at Pioneer Works. DJ Black Helmet cuts some classics and lesser knowns of his personal favorites for an hour of sonic righteousness.